← NACCHO 2015 AGM and Members meeting : Have you registered yet ? “I believe about 10 per cent of the centre’s 6000 clients were now using ice. Ice use in indigenous communities is at crisis point, with health ­services calling for an urgent injection of government funds to help tackle the growing use of the drug. 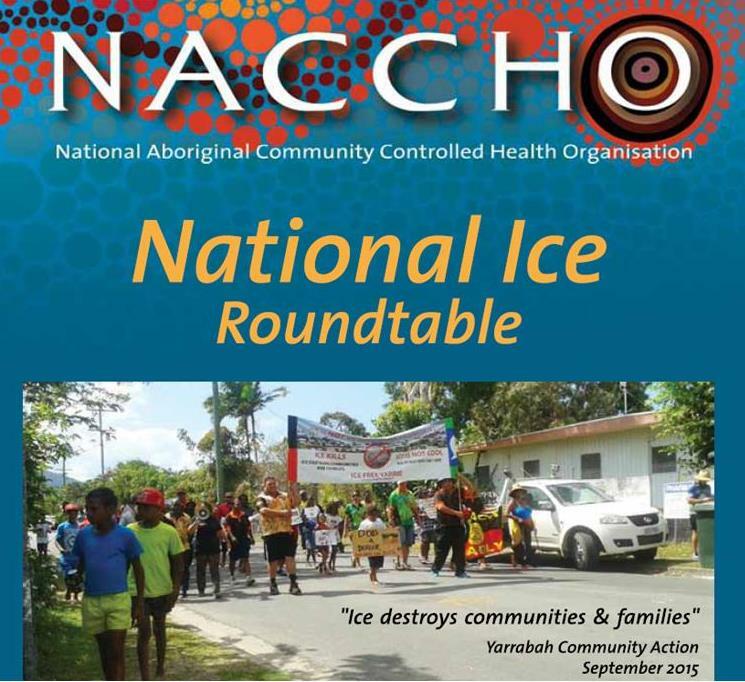 NACCHO Australia’s peak body for Aboriginal health has convened an emergency meeting in Canberra today in response to concern among health professionals that they are under-resourced to deal with the ice scourge that is “fast ­becoming an epidemic” across ­indigenous Australia. In a stark warning to authorities, chairman of the National ­Aboriginal Community Controlled Health Organisation, Matthew Cooke, says that without an urgent response to support early intervention strategies, the use of the drug will continue to spiral, ­resulting in more people being ­jailed, and deaths among users. “We are going to have higher rates of incarceration if it is not dealt with immediately,’’ Mr Cooke said. “And we are going to lose ­people, people will die as a result of using this drug. Mr Cooke said the use of the “disgusting” drug was devastating communities and, unlike alcohol and tobacco, its impact on families and communities was immediate. “It is fast becoming an ­epidemic,’’ he said. Health services were battling with ice-induced psychosis, ­increased aggression, family violence and the underlying mental health issues of drug users that were being compounded by methamphetamine use. Today’s National Ice Forum, which will be attended by Assistant Minister for Rural Health Fiona Nash, will call for more funding for treatment services, ­rehabilitation and prevention strategies. The indigenous health organisation also wants support for ­additional mental health first-aid training for frontline services. Julie Tongs, chief executive of the Winnunga Nimmityjah indigenous health service in Canberra, said that she believed about 10 per cent of the centre’s 6000 clients were now using ice. The health centre has had to ­establish a separate waiting room for psychotic ice users because of the extent of the problem and the risk to staff and other patients. Ms Tongs said the health ­service was calling police on a ­regular basis to deal with ice ­patients. “We have called the police more in the last 18 months than I have had to in the last 16 years as chief executive of Winnunga,” Ms Tongs told The Australian ­yesterday. She said the government needed to fund early intervention strategies, more skilled health workers, rehabilitation services, and family support measures. “NRL Grand Final winner Johnathan Thurston and Apunipima Cape York Health Council Public Health Medical Advisor Dr Mark Wenitong are reminding communities to say no to ice. A National Ice Roundtable summit will be held in Canberra tomorrow (Thursday October 15) where government-level discussions will continue to put ice in the spotlight. Federal Government Minister for Rural Health Senator Fiona Nash will address the summit and there will be a Q&A panel and case studies. Dr Wenitong will attend the summit and speak about Apunipima’s approach to tackle ice. In April this year, Apunipima started a social media campaign to help bring awareness of what the drug can do to individuals, families, friends and communities by involving four well-known public Indigenous figures. Posters featuring the celebrities were used to support the campaign. Thurston joined the campaign along with footballer Davin Crampton, CQUniversity Cairns Taipan Kerry Williams and hip-hop group The Last Kinection to spread the message about saying no to ice. Thurston, who took the NQ Toyota Cowboys to Grand Final victory on October 4, said tackling ice must be a whole-of-community approach. “Every bit we do as individuals in our communities to give ice the boot is a step closer to driving the message home that ice is lethal,” Thurston said. Dr Wenitong is a vocal supporter of kicking ice out of our communities and is looking forward to attending the summit. Need help or worried about your friend and people? Or want more information? Visit your local health clinic or see your local health worker.